Mark Ronson did a talk on sampling recently for TED so I’ve sampled the sample talk and even put the samples on Blend.io so you too can sample the sample about samples. 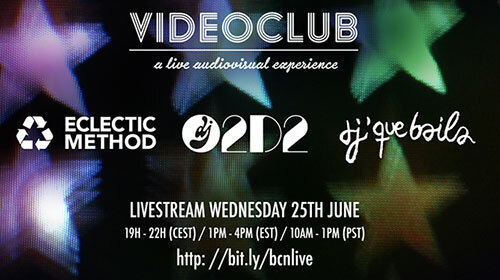 This coming Wednesday (25th June 2014) I will be doing a live video remix show in Barcelona with video DJs DJ2D2 and DJ Que Baila. We will be streaming from Centre Municipal de Creació Multimèdia de L'Hospitalet green screen facility for 3 hours of fun, 1 hour each. I made this tutorial on how to remix video using Sony Vegas.